Wu Luen Knitting Company, a leading knitting, fabric development and dyeing company, has opened a new, modern manufacturing facility designed to accommodate the company’s rapid growth and ongoing textile innovation. The new Wu Luen facility, located in the Changhua County of Taiwan, is around 8,000 square metres. According to the manufacturer, the facility consolidates the company’s former spandex and non-elastic knitting mills, and allows for further expansion to accommodate advanced knitting and manufacturing equipment for production scale while maintaining a low carbon footprint. 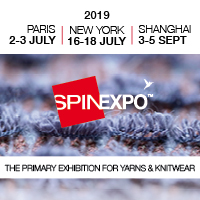 Established in 1985, family-owned Wu Luen Knitting specialises in developing custom warp and circular knits for active sports apparel, footwear and accessories, swimwear, intimate apparel and industrial markets worldwide. As a fully vertical operation, the company also offers dyeing, laminating and printing capabilities – providing quality control and quick turnaround times to leading international brand manufacturers. In addition to its fabric development and production capabilities, Wu Luen is known for its strong relationships with upstream and downstream suppliers. According to Wu Luen, the company employs approximately 600 people and is the largest warp knitter in Taiwan. In addition to the new knitting facility, Wu Luen owns and operates Sun Luen Dyeing Factory located nearby. Wu Luen also has an office in Taipei and two working groups in Guang Dong Province of China and Dong Nai Province of Vietnam. Karl Mayer opens repair centre for electronic components in China.